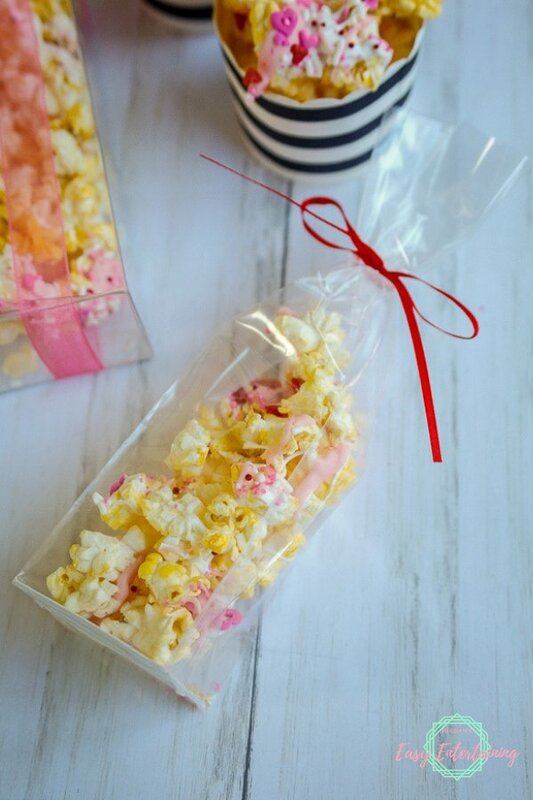 You're going to love how quick and easy this candy drizzled popcorn is! *this post contains affiliate links for your convenience. If you decided to make a purchase, I will make a commission at no additional cost to you. See my full disclosure policy to learn more. Here is a video showing you how to make this yummy treat. Once you're done, you can serve the candy drizzled popcorn in cute little cups if you're serving right away. 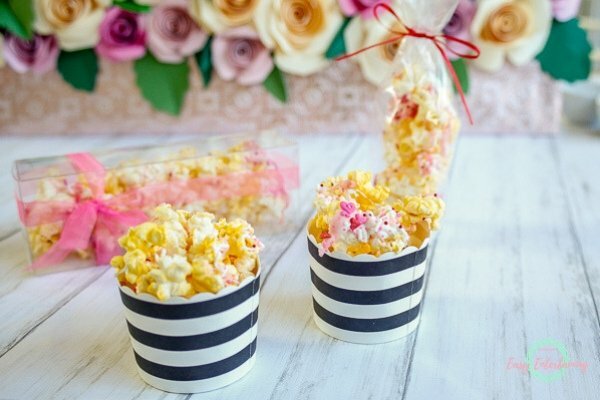 But if you are going to be giving these out as party favors or small gifts, then there are several really cute ways to package the popcorn up. ClearBags sent me some of their bags and boxes a while ago that are perfect for gifting any small present. Lay out a piece of parchment or waxed paper and spread the popcorn out. 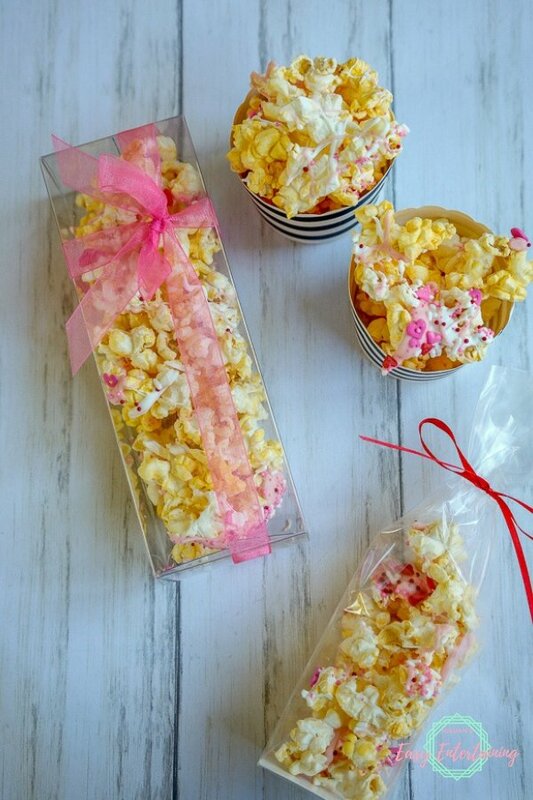 Use a spoon to drizzle the candy melts over the popcorn, working quickly. 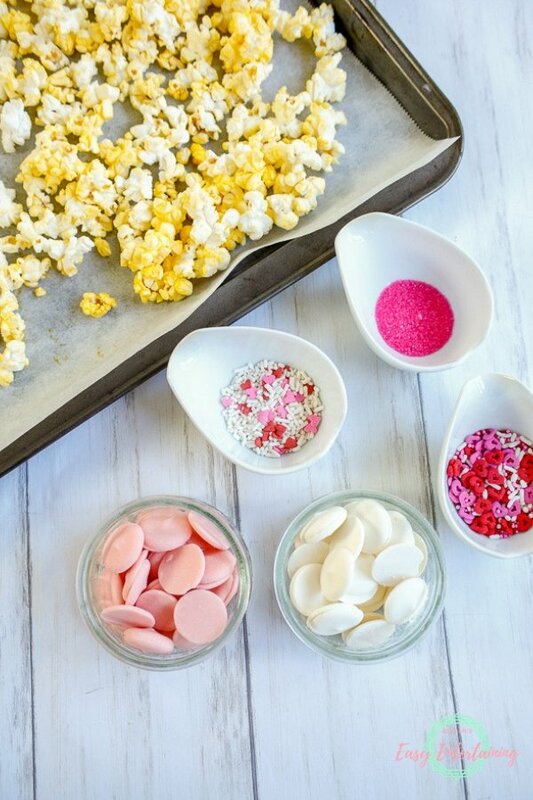 Sprinkle the candy toppings over the popcorn before the candy melts have a chance to set. 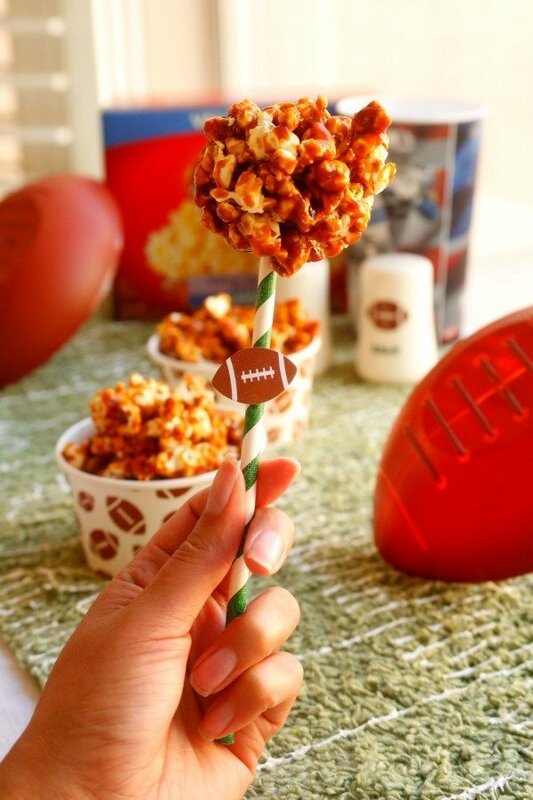 Allow candy melts to harden then break up the popcorn using your hands. 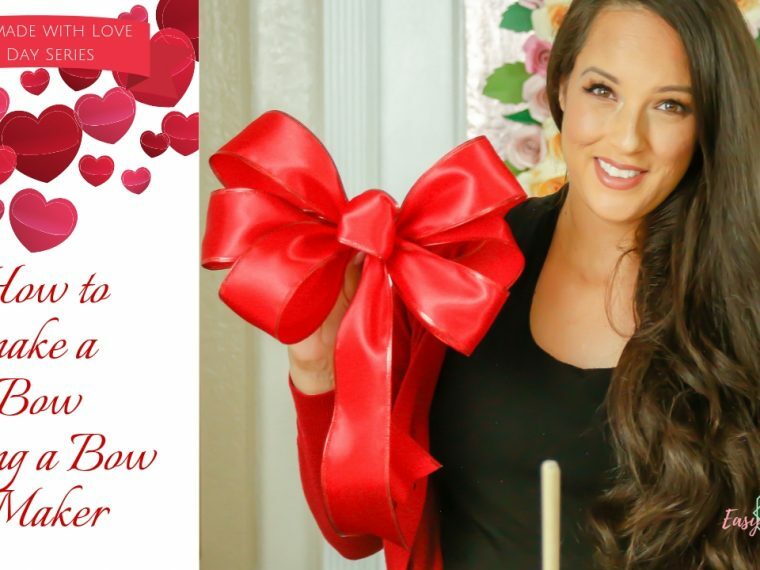 Serve immediately or package up to gift later. I really am a fiend for popcorn - check out some of my other popcorn recipes! 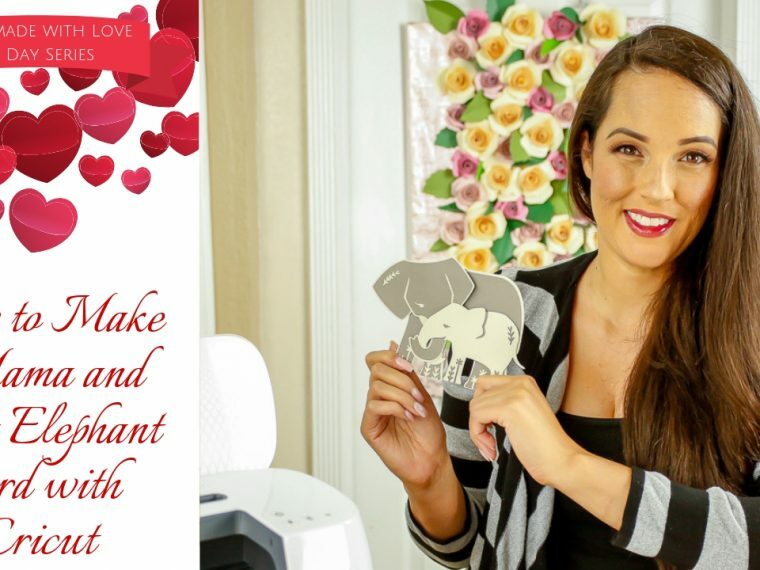 Don't miss other posts from the Homemade with Love blog and video series! That's it for this post! 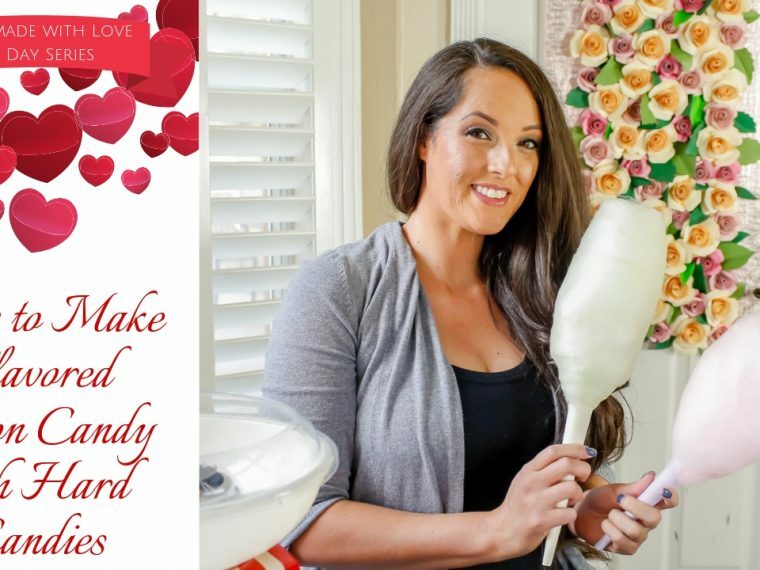 Make sure to come back tomorrow for more of the Homemade with Love blog and video series. 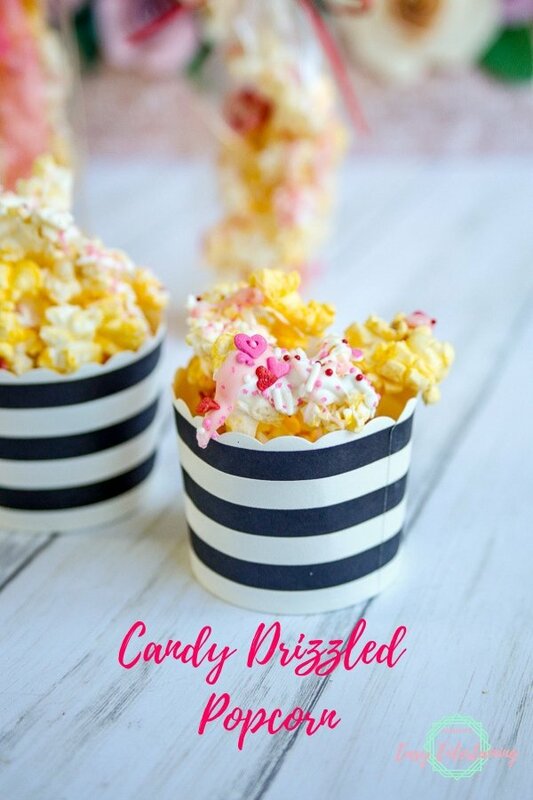 If you make this candy drizzled popcorn, or any of the recipes and projects from the series, I'd love to see! 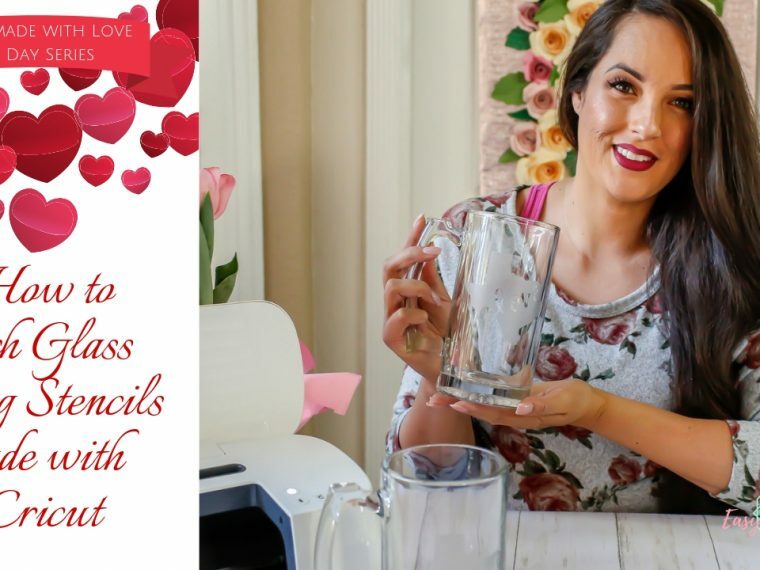 Join my Facebook group for people who love to DIY their parties and share a photo. Until next time!